Flower farmers Jason and Danielle Kendall are applying that obsession to several new initiatives – programs and processes that both expand what they’re offering to consumers and create efficiencies that allow them to meet ever-increasing consumer demand. 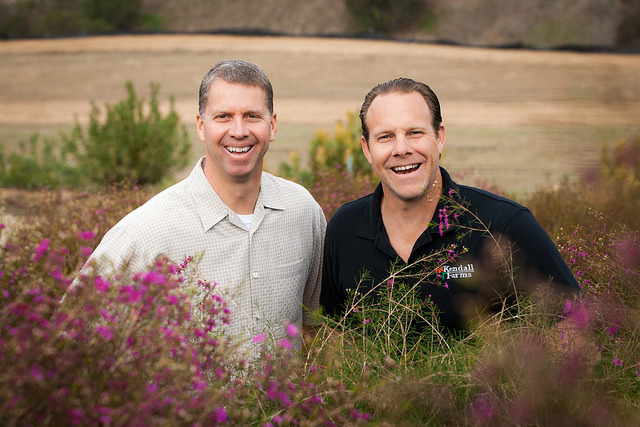 First up, Kendall Farms launched an online store on its website, selling California Grown bouquets direct to consumers and offering a subscription format for the truly obsessed. 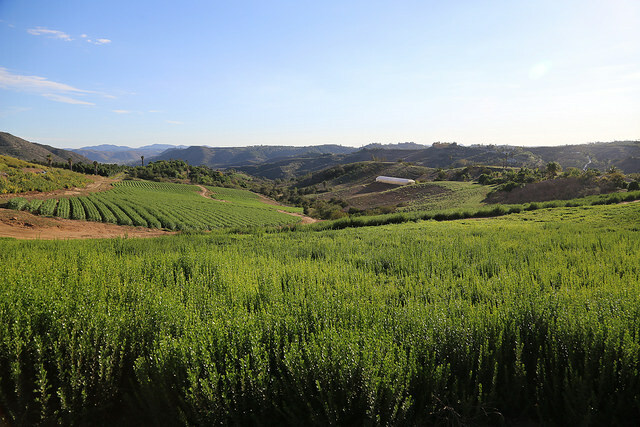 Looking out over the fields at Kendall Farms in Fallbrook, California. In another initiative aimed at consumers, the Kendalls opened the farm to the public by participating in the American Grown Field to Vase Dinner Tour and creating other farm-based events. Click to visit the online store featuring Kendall Farms’ flowers. “We’ve had inquiries for years from people who want to come out and see the farm. 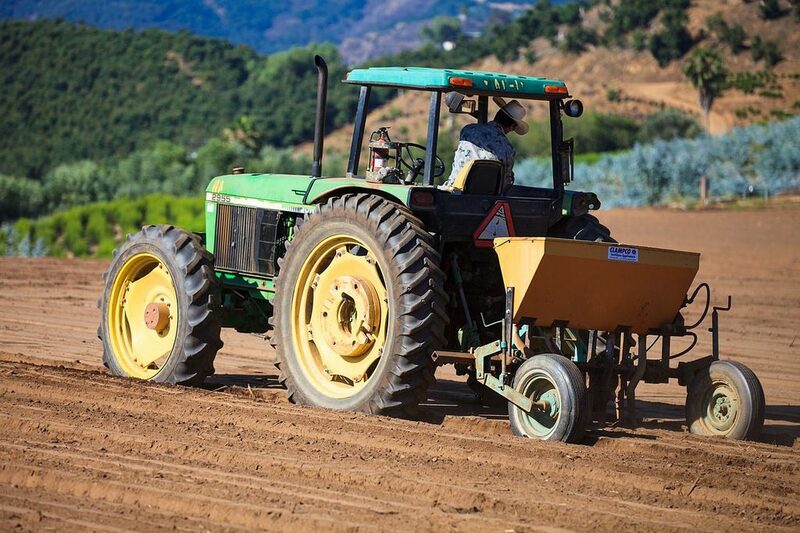 People really want to see and feel where the product is coming from, so letting consumers see the farm links it up, much like wineries have done,” Jason explains. 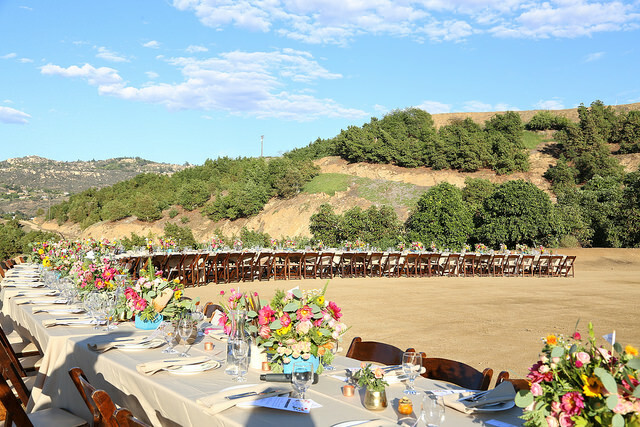 In 2015 Kendall Farms hosted the American Grown Field to Vase Dinner on their farm in Fallbrook. With consumer demand continuing to ramp up, it was time to modernize the farm’s bouquet manufacturing and making processes, so the Kendalls invested in a machine that cuts and binds the flowers, preparing them for delivery. This expanded Kendall Farms’ ability to produce bouquets and helped control labor costs. Troy Conner and Jason Kendall of Kendall Farms. Combined, the website expansion and automatization efforts have led to 30 new hires – overall good news for employment. And when you grow sales, the systems that support those sales also must expand. That’s why Kendall Farms expanded its cooler footprint by 30 percent, reaching 8,500 square feet of cooler space to maintain the cold chain for its flowers. The farm’s well system was also expanded, allowing it to operate without purchasing any water from the local water district. Jason and Danielle admit they’re practically giddy with optimism about flower farming. The culture they’ve established, the family involved and the great team they’ve created makes the hard work of flower farming fun, they say.